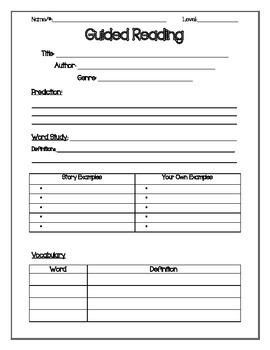 Have the students fill this sheet out as they read their guided reading book. This could be broken down into sections done as you meet on different days. You can also have students work on this sheet after working with them. Use it however you like! This printable helps the teacher to make sure that the students are understanding the story and reading strategies.